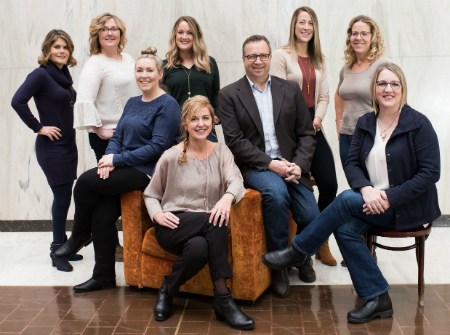 L to R: Tara Turner, Sheri Atkinson, Krista Trecartin (seated), Jessica Chaisson, Paula Stewart (seated), Travis Stewart, Hailey Paynter, Julia MacCormack, Frances Gertsch (seated). Missing from photo: Kevin and Michelle Hayward, Kelley Gowan, Terri Clarke, Glen Earle. In September of 2014, Stewart Travel Group opened in Stratford, PE. We are very excited to provide Exceptional Travel Experiences for our clients when and where it fits them best. Although located on PEI, we are growing in the Maritimes with representatives now in Nova Scotia and New Brunswick. We understand the importance of relationships and look out for our clients' best interests and deliver on their excitement for travel. Stewart Travel Group focuses on Specialized Groups, Destination Weddings, Vacation Planning, and in-home Consultations. 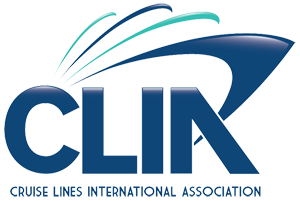 We will also be doing presentations for our clients for Preferred Groups and Vacation Packages exclusive to Stewart Travel Group. We look forward to having the opportunity to work with you and will never take that for granted. Krista was born in Saint John and moved to Fredericton in 2000 to attend St. Thomas University, where she graduated in 2004 with her bachelor of arts and majored in Criminology and Psychology. After taking part in an escorted trip to Cayo Coco in 2004 she developed the “travel bug” and decided she no longer wished to pursue a career as a social worker but would like to work in the travel industry instead. She went to Oulton college to get her diploma in travel and hospitality with the hopes of becoming a travel agent. In 2008 she received an opportunity with a local travel agency in Fredericton and considers herself very lucky to have such a challenging and exciting career which she ultimately became Manager. She enjoys traveling very much and has been able to visit many different cities throughout Canada, the United States, the Caribbean and Mexico. She also spent some time in Europe and had the pleasure of escorting a group to Greece. Krista considers herself an expert on destination weddings since she herself was married in the Dominican Republic and understands the issues couples face when planning such an event. With her knowledge, she has been able to help plan several destination weddings and would love to continue working with these groups in the future. Terri is from Quispamsis, a suburb of Saint John, NB. She has a true passion for travel; new places, new faces, experiencing a new culture, learning new things; a career in travel was her destiny. She graduated from NBCC in beautiful St.Andrews-By-The-Sea, NB with a diploma in Hospitality and Tourism but it wasn’t until she started working for Air Canada that she really got the travel bug. She took advantage of the travel perks while working for Air Canada and spent a lot of time in the Caribbean. Mostly Jamaica, Mexico and Barbados. In 2009, Terri was presented with the opportunity to manage a local travel agency and hasn’t looked back since. She travelled all over the Caribbean while with this agency but her favourite trips were to Egypt where she saw every tomb and temple there is to see, including the Valley of the Kings, and California, where she drove from San Diego to San Francisco….that was her favourite trip of all. Her best travel memory came from that trip to California because it ended with a drive through The Avenue of the Giants, which is one of her favourite places to be, among all those giant red wood trees. Terri is truly lucky to have been one of only a handful of travel consultants across Canada that has been trained directly by Disney at Walt Disney World, so she is an avid Disney fan and an expert in planning Disney trips. She is also an expert in all group travel, including weddings, Caribbean travel, Egypt, California, Las Vegas and some parts of Europe. Terri curates Stewart Travel Group's "Maidens Voyages". Check this women's-only travel group out on Facebook! Kelley began her career in travel in 2001 after graduating from Travel and Tourism program in Saint John. Although she is originally from St Stephen, she began working in Fredericton and later moved there where she worked for several years. She has since moved to Harvey Lake where she has her vacation view year round. Kelley has travelled to such places as: Jamaica, Mexico, Costa Rica, Florida, Cuba, DR, St Thomas, Puerto Rico, Spain, Gibraltatrr, Morocco, Amsterdam, Paris and London. She has also travelled throughout Canada and the USA. Kelley has experience with group travel, family vacationing, destination weddings, cruises and escorted group travel. Her love of travel coupled with her experience in the travel industry enables her to help her clients with their travel needs. Hailey, born in Halifax Nova Scotia, has lived most of her life in Charlottetown, Prince Edward Island. Her schooling was primarily focused on wildlife biology and she has recently graduated with her Masters of Environmental Sciences from the University of Prince Edward Island. It was through travel that Hailey really discovered her passion for wildlife as she spent seven months in Australia and over two months in the beautiful country of South Africa further extending her field skills through a wildlife management course and volunteer internships. In addition, Hailey has traveled to 8 European countries and visited many Caribbean destinations such as Jamaica, Dominican Republic and Mexico. Hailey appreciates all different types of travel, but is extremely passionate about Eco-tourism destinations and a multitude of adventure tours. Her travel bucket lists include: Peru and hiking the Inca trail, exploring Central America, visiting Bali and the island of Indonesia and of course a return to Africa. In addition to the travel industry, Hailey remains actively involved in the world of wildlife through ongoing work with Parks Canada in Prince Edward Island. She has worked in Resource Conservation as well as Forest Management within the Park and hopes to continue both wildlife and travel endeavours in the future. Michelle started her career in the travel industry in 2007 as a full-time home based travel agent. During that time she assisted clients with the full range of world-wide travel experiences. Of particular interest, Michelle escorted a group to France and both her and Kevin escorted groups to Italy, Ireland, and France/Spain. For their 25th wedding anniversary, Kevin and Michelle experienced their first river cruise traveling through Austria and Germany en route to Amsterdam. Kevin, a full-time financial advisor, was intrigued with the travel industry and worked with Michelle primarily with escorted group travel. Life has it’s own way of creating challenges and Michelle had her own challenge in 2010. While on a travel agent Sandals experience to Turks and Caico’s and Bahamas, Michelle was hospitalized in Bahamas and ultimately diagnosed with a brain aneurysm. An airlift to Miami for surgery and then two additional surgeries in Halifax over the past three years resulted in Michelle unable to continue to work full time in the business. By this time, Kevin was definitely hooked and was looking for a way to continue in the travel industry in a limited but very focused way. Kevin and Michelle met with Travis and Paula of Stewart Travel Group and felt that they had a shared interest in escorted group travel and STG were willing to allow them the flexibility to specialize moving forward. Active in their community, Kevin currently volunteers his time with the local Knights of Columbus and as a Big Brother. He recently retired as Chairperson of the St Joseph’s Finance Committee. Michelle also volunteers with St. Joseph's with bi-weekly visits to the sick. Kevin and Michelle believe strongly in giving back and currently sponsor 6 international children through Chalice. They are both former badminton coaches but today you are more likely to see Kevin and Michelle at the curling rink or on a golf course. She took her first solo trip by bus from Edmonton to Calgary at seven years old to visit family friends and she’s never looked back. Since she’s travelled in the arctic by bush plane, snorkeled on the Great Barrier Reef, taken a train to mountain villages in Switzerland, relaxed on the beaches of the Caribbean, slept in an underground hotel in the opal-mining town of Coober Pedy, remembered Canada’s fallen in the battlefields of Europe, wandered the hip streets of Nuuk, Greenland, and was guided through the Tower of London by a Yeoman Warder. The list of places on Frances’ travel bucket list – from eco-tourism destinations to urban hotspots – is too numerous to mention here, but will always include great food, unique experiences, and the chance to create unforgettable memories with family and friends. As a travel agent, Frances wants to help you knock off destinations on your travel bucket list, take that family journey you’ve never thought possible, find that perfect spot to just get away from it all, or create that unforgettable memory that will last a lifetime. She brings with her an Honours Bachelor of Outdoor Recreation, Parks, and Tourism, nearly 20 years of experience in the travel product development industry, and an unmatched enthusiasm for helping you meet your travel goals. Like with the entire team at Stewart Travel Group, with Frances you’ll get the very best in customer service and an unparalleled attention to detail: let her take care of making your travel arrangements so that you can take care of what that trip should be all about. Glen is originally from Saint John, NB and is now living on the beautiful Kingston Peninsula. He has been working in the travel industry for well over 30 years and continues to have a passion that cannot be duplicated. Glen completed a Travel Merchandizing diploma in Peterborough many years ago, and has worked several fields in retail travel. He has worked with airlines and has been both a retail Travel Consultant and Manager for a national Travel Agency. He recently retired from the Travel Insurance side of our business with a 24-year tenure. Glen is dedicated to ensure all his clients receive the best value and they purchase a product that suits individual needs. Travelling is a true love for Glen and his family; he has cruised on 16 different ships, toured throughout Europe extensively and been to Mexico and the Caribbean over 25 times. Ask him about his humanitarian efforts in the Philippines scheduled for October 2017. Group Travel is exciting and another true passion along with adventure and special interest which include Diving Vacations, Skiing and Sailing vacations. Glen will have a few new roles with Stewart Travel Group when he officially joins STG that will include Business Development and Recruitment of new Trusted Travel Advisors to the Team. Tara originates from Guysborough County Nova Scotia. During her adolescence her family uprooted and moved to the Dartmouth, NS. Tara's passion for travel started when she was a very young child. When passing the Halifax International Airport on trips to the city from Guysborough, she would ask her parents to stop and take a drive around; she loved the hustle bustle and emotional feeling the airport gave her. Tara studied Travel and Tourism at Holland College, where she graduated with Honors in 1992. She then started her career working at Travel CUTS on both Dalhousie and St. Mary's University campuses where she quickly was promoted from Agent to Manager. Tara left her dream job to follow her husband’s career move to Ontario. There she stayed home raising her two daughters, Marle and Maggie, while helping her husband run the family business. During her hiatus from working in the industry Tara continued her passion for travel and travelled extensively throughout the Caribbean, Mexico, USA, Europe, cruising and – more recently – starting to participate in organized cycling holidays around the globe, lately in Italy, France, Portugal, and Croatia. In February 2018, Tara decided to get back to doing what she loves as her family demands lessened and her passion for travel continued to flourish. She received her Certification through The Travel Agent Next Door and has not looked back since. Julia was born and raised in Summerside, PEI. She graduated from St. Thomas University in 2005 with an Arts degree in Criminology and Sociology. It was during University that she caught the travel bug when she participated in a student exchange program for one semester, studying in Brisbane, Australia. After graduation, Julia booked a flight to London, England to meet up with friends she had met in Australia and to travel Europe for a year. A few months in, the opportunity to become a tour manager for a European tour company came up, and she went for it. At the age of 23, Julia jumped on a training trip for 65 days where she and other Tour Managers and Drivers in training traveled all over Europe on a coach and learned everything there was to know about working for a European Tour Company. It was one of the most difficult and rewarding experiences she has ever had, and after completing the training, she became a Tour Manager and worked on and off in Europe for several years. She believes she has completed about 30 “laps” of the continent including Western and Eastern Europe, and well as the UK and Ireland. In between working on the road, Julia was able to travel outside of Europe to South America, Southeast Asia, and Australia. She also returned to Canada and spent a couple of years working as a travel agent in Toronto, Ontario. Julia moved back home to PEI in August of 2011. It was then that she started dating her now husband, Jason, who she married in 2016. They live together in Summerside, half time with his two teenagers, and full time with their fur baby (dog). Julia and her husband have traveled together to Europe for their honeymoon and also on several trips to the Caribbean. They are headed to Peru soon (Oct ’18) which is a huge bucket list destination for both of them and are they are very excited. Julia still works as a Tour Manager in the summers but now closer to home. Her tours are of the Maritimes, Newfoundland, or the major cities of Ontario and Quebec. To say that her life has been a whirlwind would be an understatement but Julia would not change a thing. She is happy to take her wealth of experience and knowledge from working and traveling to over 50 countries and use it to help make your travel dreams come true. Jessica, born in Halifax (don’t hold that against her! ), has lived most of her life in Emyvale, Prince Edward Island. From a young age, she started travelling with the Confederation Centre Youth Chorus, singing throughout North America and Europe. Pretty soon she was bitten by the travel bug. She obtained her Bachelor’s of Science from the University of Prince Edward Island, and then she headed off to Dublin, Ireland to pursue a Masters of Biodiversity and Conservation from Trinity College, University of Dublin. Throughout this program, Jessica travelled to Asia, Africa and eventually ended up in Panama. When her 3 month volunteer internship ended, she was asked to stay to manage a Primate Rehabilitation and Research Centre. All of these experiences fueled the fire in Jessica to combine her two passions: travel and conservation. Since her time in Central America, Jessica has been working at Parks Canada (when she’s not travelling) as a Compliance Lead, where she helps educate visitors on the rules and regulations of PEI National Park. Jessica understands there are many different types of travellers. She has done it all from backpacking across Europe to staying in a 5 star resort in Thailand and from living in the jungles of Costa Rica to exploring Paris and Barcelona with a large tour group. Her biggest goal is to help you design the trip of your dreams, by creating new experiences and exploring all that Stewart Travel Group can offer. "Travelling - it leaves you speechless, then turns you into a storyteller." Wendy grew up in Saint John and now calls Quispamsis, NB, home. Travelling with her parents at a young age instilled the love of travel in her and she hasn't looked back. In the last 15 years she has travelled to various places in Canada and the U.S., to Caribbean destinations such as Cuba, Antigua, Jamaica and St. Lucia, and to Ireland, Italy, France and Spain. She is looking forward to experiencing more of Italy this year before heading to the Greek Islands and Croatia, and to crossing off a bucket list destination, Thailand, in November. Now that her two boys are adults, she has the freedom and flexibility to enjoy all things related to travel. When not travelling, Wendy may be found hiking in the woods of New Brunswick, paddling on the rivers in her kayak, or simply enjoying the many wonderful beaches and seaside vistas in her own backyard with her husband. She recently earned her 200 hour yoga teacher certification and is looking forward to hosting trips in the future focused on wellness, yoga and hiking. Ultimately, Wendy's goal is to assist her clients in planning their perfect vacations so they may become experienced storytellers in their own right.